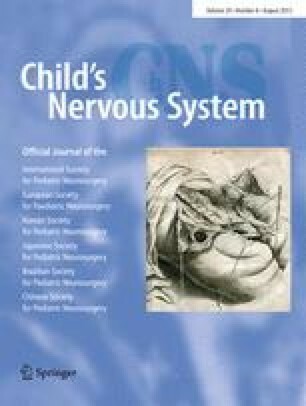 Review of children with low-grade cerebellar astrocytoma (LGCA) prior to 1992 showed a 98 % rate of gross total resection (GTR) but a concerning incidence of permanent neurological dysfunction. The purpose of this study was to determine the rate of GTR of LGCA since 1992 and frequency of neurologic injury. Retrospective review of children with LGCA was performed. CT/MR scans were rereviewed to assess extent of resection. Primary outcomes included incidence of GTR and incidence of permanent new neurological deficits. Other outcomes included late effects severity score (LESS), Bloom score for functional status, and educational assessment. Of 50 LGCA, GTR was achieved in 38 (76 %) compared to 43 of 44 (98 %) prior to 1992 (p < 0.004). Permanent new neurologic deficits from surgery occurred in 16 % compared to 18 % in the prior era (p = 0.61). For 35 patients operated on by the 2 surgeons in the prior study, 74 % had GTR, with permanent neurological deficits in 8.6 %. At latest follow-up, all patients were alive, 16 % with residual tumor. LESS was two or less (mild or no deficit) in 94 %. Bloom score was one or two (no or mild disability) in 90 %. Eighty-six percent attended normal school. Less aggressive resection of LGCA in children may reduce postoperative neurologic deficits in the hands of the same surgeons as in the prior study but not overall at our institution. The good long-term outcomes suggest that it may be appropriate to do incomplete resection rather than risk additional neurological deficit. No financial relationships exist with respect to this study. This is an unfunded research project.